Press “E” on your keyboard and then look for this icon in the 3rd row. 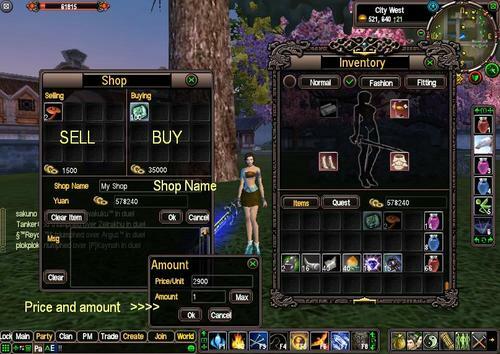 If you're selling an item, drag the item to the Sell area and fill the price and amount info. If you're not going to sell anything, just leave it blank. If you're buying an item, make sure you have a similar item in your inventory. Drag that item into the Buy area and fill the price and amount info too. If you're not going to buy anything, just leave it blank. 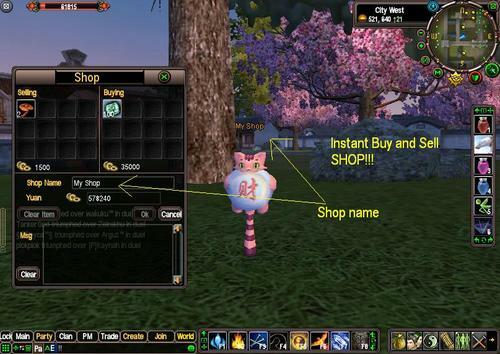 Under the buy/sell area is the name of your shop. Put whatever you want your shopname to be then just click on the confirm button and viola!